We all know about 3-D movies by now. Some of us love ’em; most of us are indifferent to the gimmick. We just want a good movie. But why do 3-D movies actually exist? Well, take a look at the signs in your local box office. By now you’ve probably noticed that 3-D movie tickets cost a little more than do tickets for “plain old” 2-D movies. Movie studios are so certain you want to see certain films in 3-D that they’ll actually charge you more for the privilege … but that’s not how it used to be. 3-D movies came about in the 1950s, mainly because Hollywood was concerned about this new contraption called “television,” and they needed some fresh and exciting ways to get people into theaters. After a few years, the gimmick sort of petered out, probably because Hollywood realized that people were more than happy to watch TV and go see movies in the same week. Imagine that. But there was a brief resurgence of 3-D cinema in the early 1980s, at pretty much the mid-point between the introduction of 3-D and its contemporary revival. 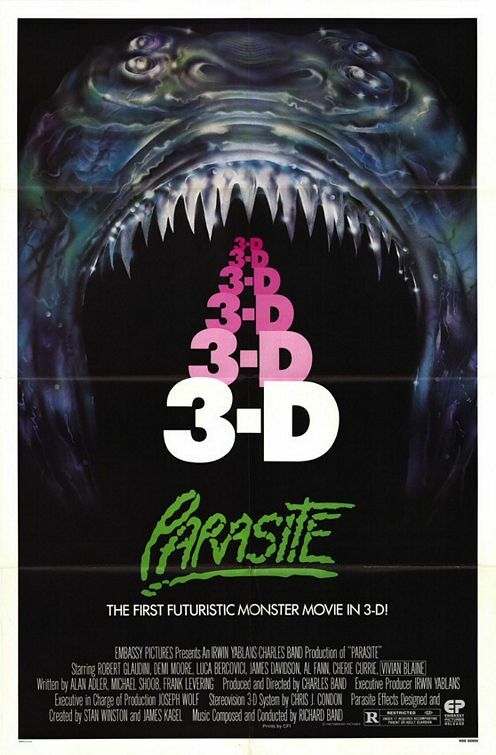 Those who survived the Great 3-D Scourge of 1983 are still hesitant to speak of its horrors. Until now! I was there! I lived through it! And I can explain why so many Generation Xers are so down on 3-D in general: it’s because of 1983! This is the one that (somehow) re-ignited a goofy movie gimmick that hadn’t been trendy for 25 years. It’s a raucous, goofy, and wildly violent Western about a crook whose bride is kidnapped on their wedding day. That’s about it. 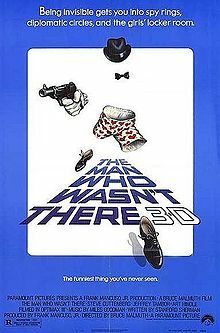 Tons of shootouts, pulpy banter, and silly stuff being tossed towards the camera — but this scrappy indie somehow managed to turn a profit and kickstart a short-lived (and generally painful) 3-D resurgence. Comin’ at Ya! also enjoyed a nerdy resurgence of its own a few years ago, and I can attest that it’s an absolute hoot on the big screen. This one may sound like a blast on paper — a scientist in a post-apocalyptic world must retrieve his deadly parasite from a gang of sleazy hooligans — but in reality it’s a screaming bore interrupted by a few super-splattery gore scenes. This early production from the soon-to-be prolific Charles Band (of Full Moon Entertainment) does offer some gruesome and grungy 3-D gimmickry, not to mention one of Demi Moore’s earliest/goofiest performances, but it’s also pretty darn boring, if we’re being honest here. Someone at Paramount must have noticed that a few indie flicks were making some cash with the 3-D hook, so logically it was time for the studios to play copycat. The second sequel to Friday the 13th was always going to be a hit regardless, but the film’s box office receipts seemed to bolster the assertion that “young moviegoers dig 3-D.” And maybe that assertion was right, at least for one movie. 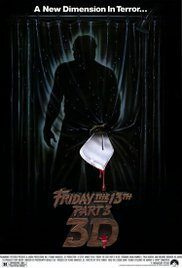 This is one of the dumber, sleazier, and tackier Friday the 13th sequels, but it was still one of the most profitable. The folks behind Comin’ at Ya! were back with another Spanish/American co-production, but this time instead of a 3-D spaghetti Western we’re being treated to a fairly blatant Raiders of the Lost Ark knock-off. Not only do they crib the hero, the setting, and the falling boulder from Raiders of the Lost Ark, they even constructed their title to sound curiously similar. (Count those syllables!) 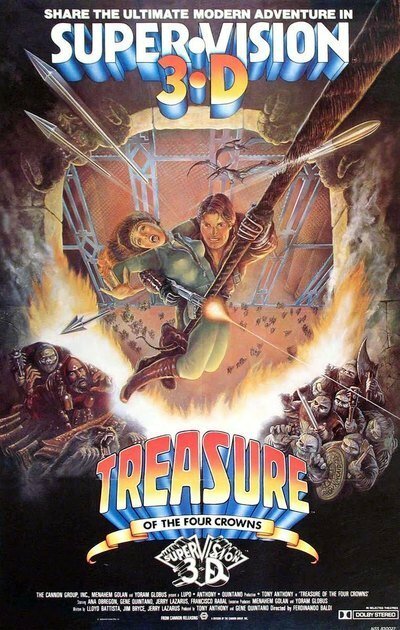 Unlike Comin’ at Ya!, Treasure of the Four Crowns lacked any sort of ramshackle charm, and came off more as a basic rip-off than anything else. 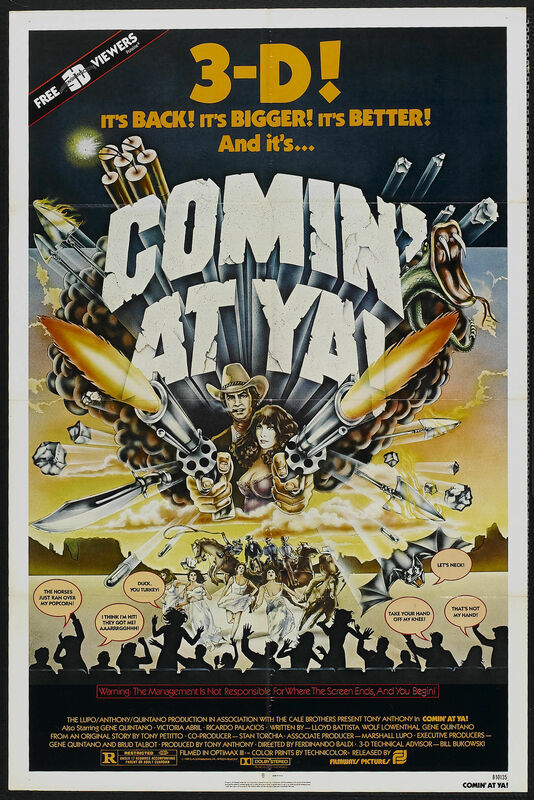 Still, it made a few bucks for Cannon Films, and they’d soon go on to dominate the decade with glorious B-movie insanity. Arguably the most “polished” of the goofball 3-D parade, this Ivan Reitman production was a Columbia Pictures release, and it seems to have (slightly) more money behind it than the previous movies — but man, it’s still a big, fat snoozer. 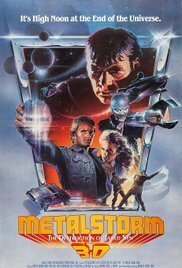 Peter Strauss is our hero who visits an arid desert planet in an effort to rescue three missing women, only to team up with Ernie Hudson and Molly Ringwald, wander through some limp action scenes, and finally square off with a wildly over-emoting Michael Ironside. And the 3-D stuff wasn’t even that good. While we can thank this ill-conceived, ill-fated, and generally nausea-inducing misfire for introducing us to the lovely Lea Thompson (who would go on to much better films), there’s really not much here to savor. Jaws 2 was, of course, no Jaws, but at least it was a legitimately serviceable thriller. 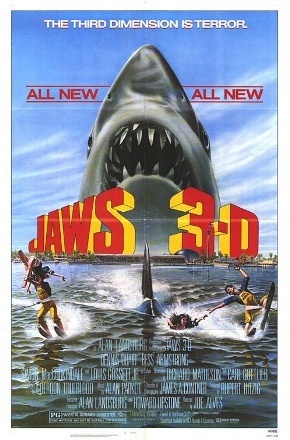 Jaws 3-D looks like it was written in a week and shot in a weekend. 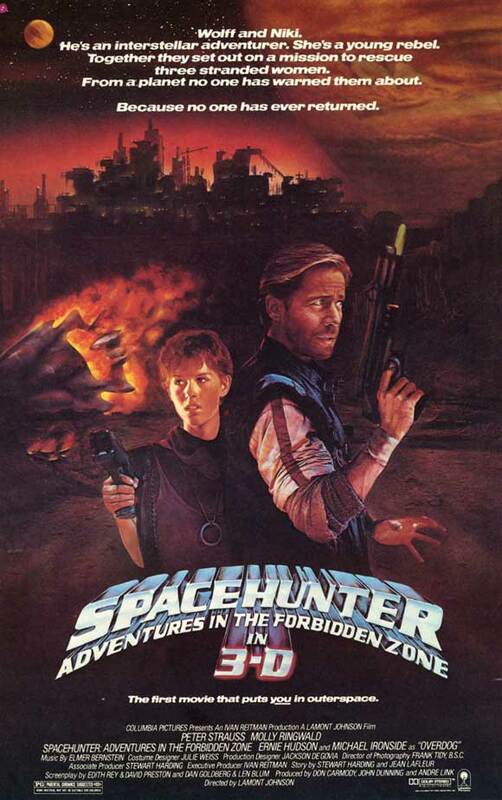 Sure, it’s fun to see young Dennis Quaid, Lou Gossett Jr. and Bess Armstrong running away from sharks in Sea World — and there are a few hilariously bad 3-D effects — but there’s no denying that this is a remarkably bad movie. And yet somehow the next Jaws was even worse. Aha! Here we go. Here’s Paramount using 3-D on an original screenplay! Not a sequel or a knock-off, but an actual espionage comedy about a man who can turn invisible! Invisibility in 3-D. Eep. Yes, it’s absolutely terrible, which pretty much proved to Hollywood that this silly gimmick was about to run its course. Audiences didn’t really need 3-D exhibition to enjoy a horror sequel, nor did they actually want to see it in standard comedy flicks. Not even ones starring Steve Guttenberg and Jeffrey Tambor. Charles Band returns to the 3-D well he helped dig with Parasite, and the result is … somehow even worse, if you can believe that. It’s a big bunch of post-apocalyptic outer space(?) nonsense that only comes to life when someone goofy shows up to chew on some scenery. Keep your eyes peeled for friendly faces like Kelly Preston, Tim Thomerson, and Richard Moll, but try not to focus too much on the painfully silly 3-D effects. Even as a kid I could tell that this stuff was bad with a capital B, and it’s no surprise that movies like this pretty much killed the burgeoning 3-D craze before it ever really got started. 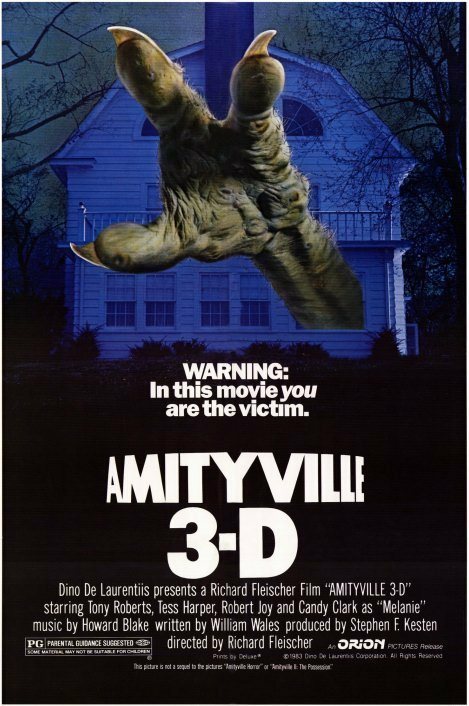 The first Amityville Horror made a lot of money, but it’s not exactly considered a full-bore horror “classic.” The second Amityville was a dreary, ugly, tiresome misfire. So why not throw some 3-D glasses around Part 3 and see what happens? A game cast — which includes Tony Roberts, Tess Harper, and a young Meg Ryan — does what it can, but between the endless salvos of chit-chat and the generally unimpressive scares, this turkey marked the end of the Amityville franchise (until the straight-to-video sequels and eventual remake, that is). 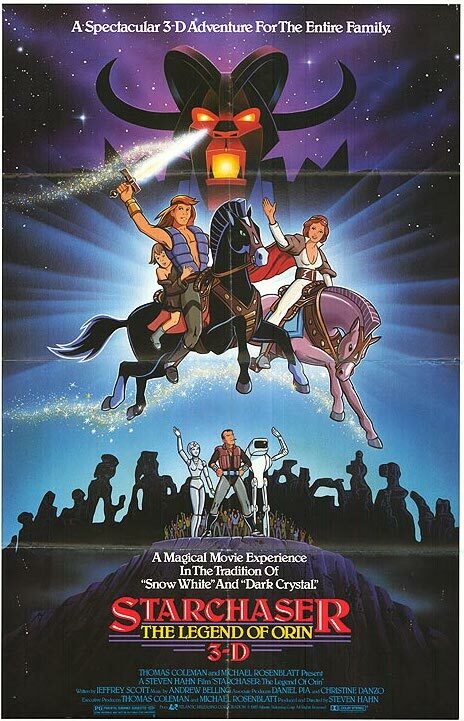 There’s always one guest who shows up way too late to the party, and in the case of the early ’80s 3-D “craze” that latecomer is Starchaser, a blatant Star Wars knock-off that has the dubious distinction of being the first American animated 3-D feature. And as lame as it is, Starchaser: The Legend of Orin is still more lively and entertaining than The Polar Express. But really, the plot is so darn Star Wars I’m surprised that Lucas didn’t sue. Scott Weinberg lives in Philadelphia and is co-host (with Drew McWeeny) of ’80s All Over, a podcast covering all the movies of the decade one month at a time.